When I was little my favorite thing to do on a rainy day was play indoors with my little brother. We always did something active first like play school or we use to set up our dinosaurs and play with them. Slowly though it would turn into us playing chase in the house or grabbing the brooms and pretending to be knights and trying to lob off each others heads. At this point my mom normally had enough and would tell us to go play a video game. We didn't have much money growing up (hence us resorting to playing with brooms) so we only had a few games. No worries though our games were pretty awesome! We had Zelda, Banjo Kazooie, Mario, DiddyKong rancing, Donkey Kong and of course Sonic! And you want to know what the greatest thing is? 20+ Years later all these games are still popular and my boys actually play them!!! 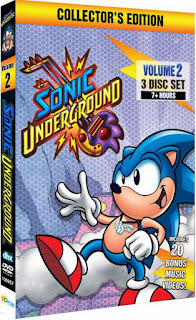 Join Sonic (voiced by Family Matters Jaleel White), and his siblings, Sonia and Manic, as they fight to be reunited with their long-lost mother, Queen Aleena. In this second and final set of episodes, we return to Dr. Robotnik having his sights set upon Queen Aleena's crown jewel, which glows as it moves closer to her. Sonic, Manic, and Sonia need to recover the jewel before Dr. Robotnik does. They need to do this not only to find their mother but also to protect her from Dr. Robotnik. Will they succeed? 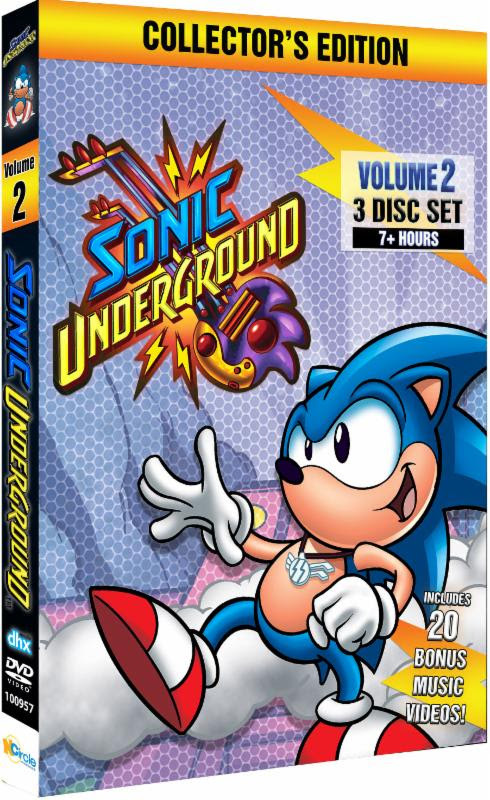 When they aren't battling Dr. Robotnik and his henchmen, Sonic and his siblings make time for their rock band, Sonic Underground. With over seven hours of content, this final set is sure to showcase all the best Sonic episodes from the tunes to the great battles. Based on the popular SEGA videogame character, this Sonic the Hedgehog collection is a must-have for all Sonic fans!